Smap version 14.03 has finally been released. It should have been available from the end of March. The next release should be a small one and hopefully we can get back to the end of month regular release date. The major new feature is forwarding of surveys. Other changes are improvements to monitoring, support for larger result sets (paging) and a more laptop friendly deployment. When you select “Monitoring” by default you will be shown total counts for success, errors, duplicates and “not uploaded”. Totals are only available in Table view. In order to view locations of uploaded data you need to first select the source as “Instances” then select “show as map”. You can filter the uploads (or forwards) that you view in the monitor page by their status. Success, errors, duplicates and “not uploaded”. Hence you can uncheck all statuses except for “Error” in order to see which uploads in your project or survey were reported as being in error. When showing instances rather than totals the last 200 records are still shown. However if you apply a filter to only show errors then it will be the last 200 errors that are shown. Paging is now available in the Monitoring screen and for the survey table view in the dashboard. 200 records are shown by default but you can then select a forward / reverse button to move forward and back through the results. These buttons are located at the top of the table and are labelled “>>>” for forward and “<<<” for back. They will be disabled unless there are additional pages available to view. In the dashboard, when you view all survey results as a table, then the total count of surveys will be shown as well as the count of “bad” records. This wil be a faster way of getting a count of all surveys loaded than having to export to a spreadsheet. Previously it was assumed that the address of the server would not change. This allowed the server to get away with storing the full url of all survey attachments in the database. However this assumption is completely untenable if Smap Server is deployed on laptops. The server URL can now be changed and all the attachments will still be accessible. This will also now run the deploy script so once it finishes you shoulld be able to log on and use the server. This release will be added to the downloads page over the coming weekend. There will be another blog post to announce its availability. Error in retrieving languages on the audit page fixed. This bug prevented auditing. If the first record in survey had an invalid geometry then export to shape files would fail. An example of an invalid geometry is recording only one point when a polygon or line was requested. This entry was posted in Smap Release and tagged field task, mobile phone, monitor, Smap Consulting, survey on April 25, 2014 by Neil Penman. I’m working with a customer that is conducting a survey in Iraq using Samsung Galaxy Y Duos (android 2.3) and fieldTask. Later model phones (android 3+) worked well with Arabic but not these earlier versions. Even after rooting the phones and installing new fonts it still didn’t connect the characters. See below a screen shot using Dr Ben Ox Arabic fonts which seemed to give the best results. Fortunately there is an Arabic reshaping library available from https://github.com/agawish/Better-Arabic-Reshaper/ which can be used with these old phones. I added ArabicReshaper.java and ArabicUtilities.java from this library to the odkCollect library that performs survey completion in fieldTask. I then modified the “QuestionWidget.java”, “SelectOneWidget.java” and “SelectMultipleWidget.java” files in odkCollect to call the “reshape” function when setting the text. See line 12 below. // Add the text view. Textview always exists, regardless of whether there’s text. 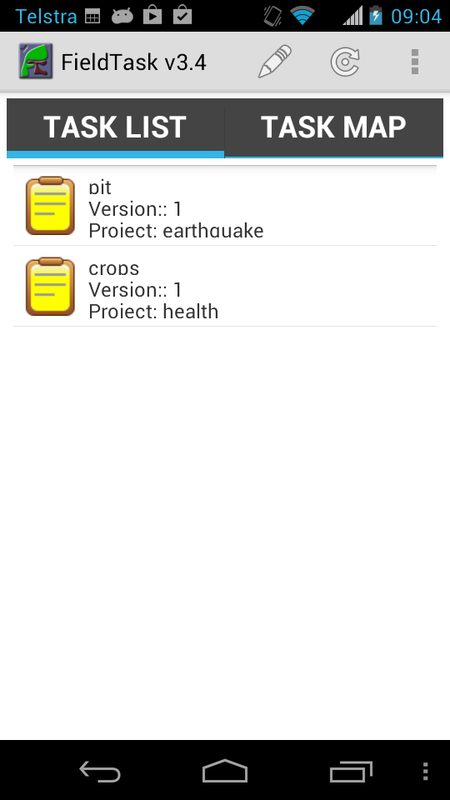 This Arabic version of fieldTask is available for download from http://dev/smap.com.au. There are other widgets that could have this functionality added and presumably the arabic text typed by an enumerator in a text field should also be reshaped. These additional changes will be made on an as needs basis. The preferred option is to get a phone that supports Arabic fonts natively which would be a better option than having to root the phones to install new fonts. This entry was posted in Ponderings and tagged arabic, fieldTask, odkCollect, Smap Consulting, survey on July 16, 2013 by Neil Penman. 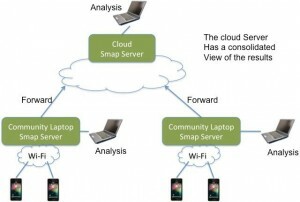 The february release of Smap is out of development and undergoing pre-release testing. Multi-projects. A user with administrator privilege can now create a new project and assign users to that project. 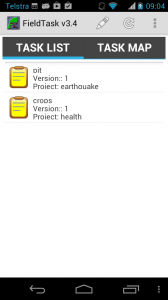 This allows you to manage separation of projects on the same server. A user will only see the survey templates and results for the projects that they are assigned. Dates. Formatted correctly for excel and always set to GMT. To change the timezone in excel add the hours difference divided by 24. You can now do calculations such as subtracting _start from _end to get the duration of the survey. _device formatted as number so it does not show as scientific notation by default. Links added to locations. If you click on the link it will show on a map where the survey was completed. Links added to pictures, video and audio. Name of survey in monitor screen was not being shown. Could not filter by survey name in monitor screen. This diagram is of the project burn down and is taken from Acunote, which is a great tool for managing Agile projects. The chart shows the rate of progress across the month and confirms that development was completed on time. Of course any tasks that could not be done prior to the release date, and that could be moved, were simply put into the sprint for the March release. Completing “on time” for an agile project is usually a given! This entry was posted in Smap Release and tagged assessments, Facebook, mobile phones, release notes, Smap Consulting, surveys on February 28, 2013 by Neil Penman.